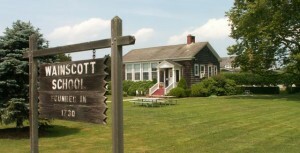 Wainscott, NY is considered to be one of the most beautiful areas in the country. The rural town features miles of sandy beaches and is only 100 miles away from New York City. Wainscott is also regarded as an ideal environment for families. Despite such wonderful amenities it still has had to deal with the weather-related power problems that have afflicted the region. PowerPro Generators Inc. has generators for sale to help residents with this seemingly never ending problem. For home generators please contact us at 631-567-2700. We also have industrial generators for sale in Wainscott, NY. Residents can have their own contractors perform the installation. PowerPro does recommend though that homeowners ask the contractor if he has experience with these types of installations in Wainscott, NY 11975 and with the brand that is being offered. We are authorized to sell, install, and repair of all of these generator brands. PowerPro is the top Kohler generator and GENERAC generator seller. PowerPro is aware that generators need maintenance, annual filter and oil changes for example, so we offer Preventative Maintenance plans to make sure our customers always have properly maintained equipment to avoid power loss. To learn more about generator repair in Wainscott feel free to call us at 631-567-2700.